It's impossible to visit Sissinghurst and not be awe struck by the talent and vision of Vita Sackville-West and her husband Sir Harold Nicolson. They bought a rundown property and created a stunning romantic garden. One thing is certain, there is nothing like seeing Sissinghurst from above! The view from the Tower where Vita's private study is located is stunning. Her study is exactly as it was when she died. All her belongings are carefully packed up for winter and then placed exactly where they belong the following spring. The gardens are treated much the same~ Plants might die, but, they are replaced with similar ones and if possible the same plants she might have chosen. Here's the White Garden~next month the arbor will be covered in white flowers. Borders surrounded by formal hardscape are filled to capacity with blooming plants and self seeding perennials and annuals. Perennial and bulbs planted en masse~the more the merrier. Vines and roses were indispensable and encouraged to twine and clamber where they will. Meadows and grasses were left to be just a bit wild. Contained exuberance, contained wildness and contained chaos are phrases that could be used to describe the garden. It's a naturalistic style of gardening that requires an excellent eye and a great deal of effort for it to work! It's still working! 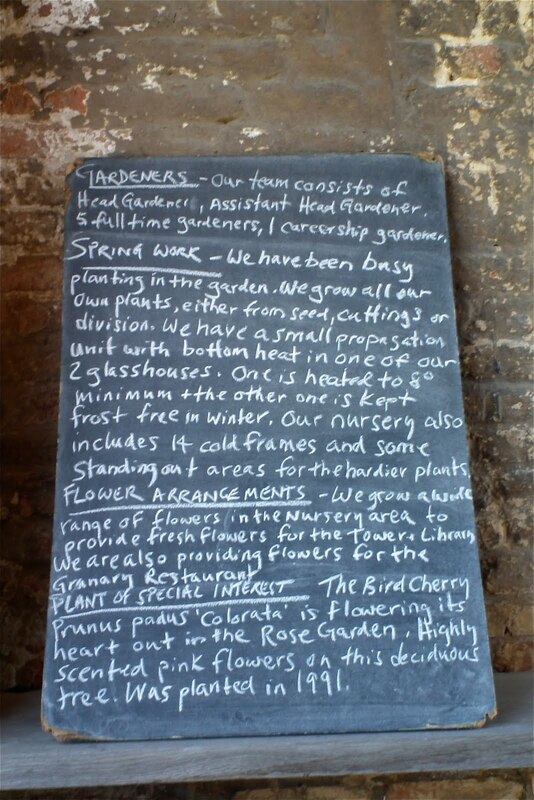 I can't hire garden help~But, I could certainly find a chalk board to hang in the garden! I may be wrong in assuming that the gardens imitated their life, but I am certain that seeing it with Frances/Fairegarden and Victoria/Victoria's Backyard was an absolute delight! When you visit a garden like this, you must go in the company of passionate, plant loving gardeners. Spend as much time as you can, take photos of the plants, the plant tags and stop for cream tea and a conversation about what you've seen. That's what we did! Victoria and Frances at another garden! Thank you Victoria for opening your home and showing us such a wonderful time! You are the best! It was transporting, to be in that garden with you and Victoria, dear Gail! Imagining the life of Vita and Harold, the mystery, romance and gardening all entwined with privelege and wealth during a time so different from here and now was captivating. I love seeing the garden through your lens whilst I am working on my shots to put together a story of it as well. Such fond memories of our time in England. I've really enjoyed seeing your and Frances' accounts of your trip to England! What fortunate people you are! It's a dream of Mom's and mine to do the same. Fabulous photos and accounts! Sissinghurst - it doesn't get any better than that! The calendar in my office has this quote from Vita Sackville-West on it for May, "It isn't that I don't like sweet disorder, but it has to be judiciously arranged". Seeing the garden through this post, I can see what she meant! Thank you for sharing this with us. I had such a wonderful day with you two. Reading about it all again transports me back to Sissinghurst in the sunshine - a fabulous memory. And what a beautiful day you had to view this lovely garden. I was lucky enough to visit it several years ago in late May and it was glorious. The EM was tolerant and had a good time but his best memory is of the lunch in the barn. Mine is of the wisteria hanging along the walls. I would go back in a minute so thank you for taking all of us through these pictures. What a treasure this trip has been. This garden is a jewel. I like that the disorder is in order. The overviews gives one the perspective of how grande it is. 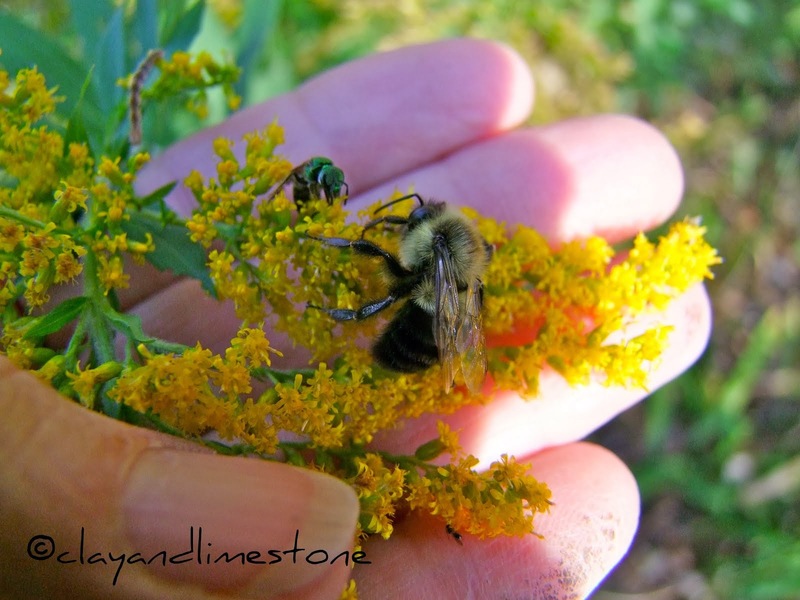 What a special place Gail, and your photos are stellar (I noticed that you got a bee in flight!). The views of Sissinghurst from above are too beautiful for words. There was an interesting story on Marketplace recently about the efforts of Vita Sackville-West's son to restore a working farm at Sissinghurst. Vita's life and Sissinghurt that you could recommend? 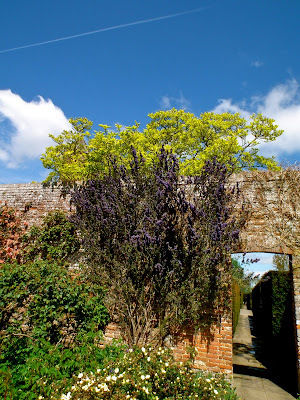 Do you know how the name (Sissinghurt) came to be? I like this style of gardening ("naturalistic") but recognize it doesn't just happen - as you said, it "requires an excellent eye and a great deal of effort for it to work"! Thank you so much for sharing this, Gail! I have been looking forward to seeing these photos ever since you said you had been to Sissinghurst. I think I mentioned I read a mystery partially set at Sissinghurst and became intrigued by the garden and the life of Vita. She certainly was an interesting individual, and that's an understatement:) As I recall, her husband designed the formal elements, and she planted whatever she wanted, creating the "chaos." The wildness seems to fit her. Such a beautiful garden--I'm glad they have maintained it for the public. What a memorable experience! Rebecca, The DVD from the BBC Portrait of a Marriage is supposed to be brilliant and I've just read "Let us Now Praise Famous Gardens" by VSW~it reads like a blog! Googling will give you a number of scholarly and entertainment articles to read that are fascinating. She was certainly ahead of her time! Sweetbay, I read several articles about his efforts. There was a sweet farmers market with local produce/cheeses and crafts on the grounds and the restaurant food was delicious. I think both may have been brought about by his and his wife's encouragement. @Rebecca: One of the best books I've read about Sissinghurst is Anne Scott-James's book, called Sissinghurst, the Making of a Garden. It's out of print, but you can get secondhand copies. Otherwise, Adam Nicolson's book, Sissinghurst: An Unfinished History, is very interesting and goes into great detail about the history of the house. Sissinghurst is derived from Anglo-Saxon, Saexing Herst, or the wood of the Seax family. Hurst means wood in old English. Hope this helps! Oh my gosh! What a bea-u-ti-ful place! I love the way you see things and recount them Gail. You have a beautiful way of doing that. What an incredible garden and story of its evolution. It's so beautiful when a home and its gardens can keep the original flavor like you mentioned is being done here. Gives you such a nice peek into history. I too, would love to add it to my life list of places to visit. It's so fantastic you went on this trip with fellow gardeners. I can't imagine better companions. You saw so many great gardens in the perfect way: in the company of passionate gardening friends. How smart you and Frances were to GO! Pam, I totally agree! 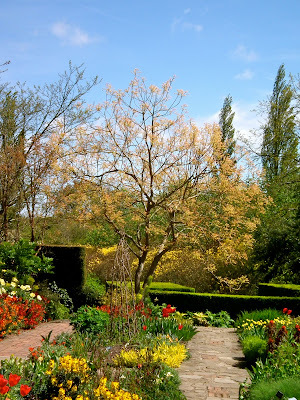 I adore my spouse, but he is not someone who would enjoy touring a garden with the attention a Sissinghurst needed! It would be fun to see it with you! 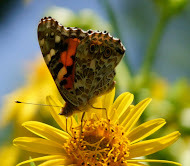 You are a great garden writer, Gail! Reading your passionate description of this garden can't leave anyone indifferent. Thank you! Looks like it was lovely! Lovely Gail....all it is and more. I must go and visit soon, it has been way too long....many years in fact. Great photos Gail and yes it is a lovely garden and you are quite right it must have been even more enjoyable in the company of other great gardeners Victoria and Frances. I am so pleased you fitted a trip to Great Dixter in it is one of my favourite gardens. Sorry our paths did not cross! Sissinghurst ... you've brought back wonderful memories. I've only been there early in the season, similar to your visit, so have never seen its more blowsy summer glories. But I'll never forget the feeling of being in Vita's Tower. So wonderful that you were able to visit with Victoria and Frances! btw Look forward to your Dixter post. I just completed one myself;-) Aren't we fortunate to have crossed the pond!! I'd only seen summer photos of this garden - oh to be there and be able to go when ever you wanted. I'm not sure what would be better - having my own tower to hide and view my garden, or having that garden down below. What a life these people lived. Awaiting the next installment with baited breath. When I saw your title, I knew it must be Sissinghurst! Definitely on my list of "gardens to see before I die" and what a lovely tour you've provided! Gail, thank you for sharing your adventures with us! It's a delight to relive it with you. Gail, thank you for taking us to Sissinghurst. I would have never made my way there without you. I especially liked the meadows and grasses that were left a little on the wild side. How lovely - wish I could have been there with you. Last year on holiday we took shelter in a 2nd hand bookshop in Cromer (a seaside town on the East coast) and what should I find there but 2 first editions of VSW's books. Needless to say such treasure was snapped up instantly. So glad your trip over the pond yielded similar treasure for you and Frances. Gail, I can't believe you went to so many great gardens! Sissinghurst has always been on my list. Can't wait to hear about Great Dixter. Hi Gail, what a lovely place. My ideal will always be the English garden. Even tho I can't achieve it here, it is always what stays in my mind when I compare my own garden to what I would wish for. I've loved Sissinghurst on two visits, now. Isn't it remarkable in how Vita's vision and Harold's structure have been transformed over the year with new plants, but without apparently a loss of vision? And I love how Sissinghurst is trying to be a working farm, again, with a kitchen garden, too. Look forward to hearing your thoughts about Great Dixter! Thanks for the tour. That is a lovely place & to see it with a dear friend would be the most. I could have never made this delightful trip without you, dear Gail. Thanks dear friend for feeding my gardening soul! I love the idea with black board - it gives so much of an personal touch to that massive beauty. Thank you Gail, for the wonderful tour. It's delightful seeing Sissinghurst through your eyes. Been to Sissinghurst a few times now but I never tire of going there and now you know why. So glad you had fab spring weather instead of the Malvern freeze. The wall you asked about is part of the moat walk. Wish I could have gone with you and Frances to S and GD. Can't wait to see what you think of Great Dixter. What a wonderful tour of the garden - thanks for sharing it. I've not been to Sissinghurst, and people talk about it being full of people, with no space to enjoy it but your photos are a delight. My last blog (wordpress) was hacked and I ended up losing a few months of hard wordk due to no backup.